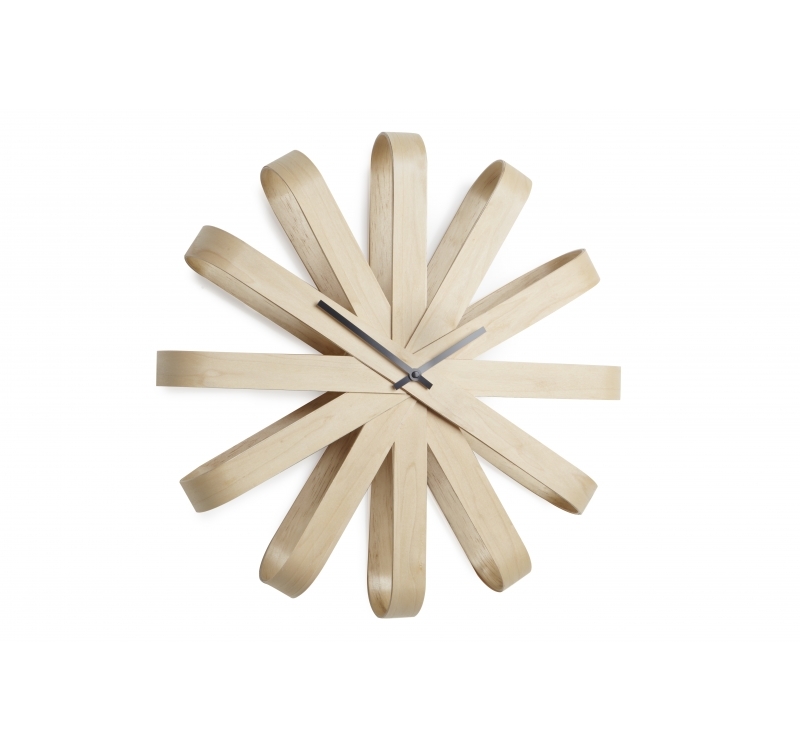 Discover our large Ribbon Wood wall clock ! An original creation to have a nature and Zen clock. This design wall clock is 51.4 cm in diameter. Free 48/ 72 h delivery in metropolitan France and Belgium for this deco wall clock. In a Zen style, our collection of design wall clocks proposes you this Ribbon wood model for an original interior. 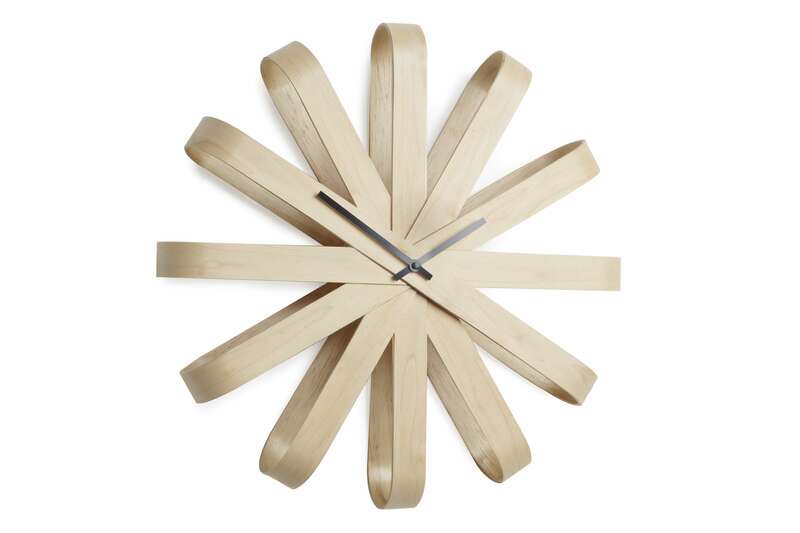 Strip shaped this large wood clock will perfectly fit in a lounge or kitchen thanks to its unique and contemporary style. Its noble materials make of this deco wall clock a real work of art that will very well match a nature decoration. The hands are set in the center without spoiling the curves of this trendy clock. 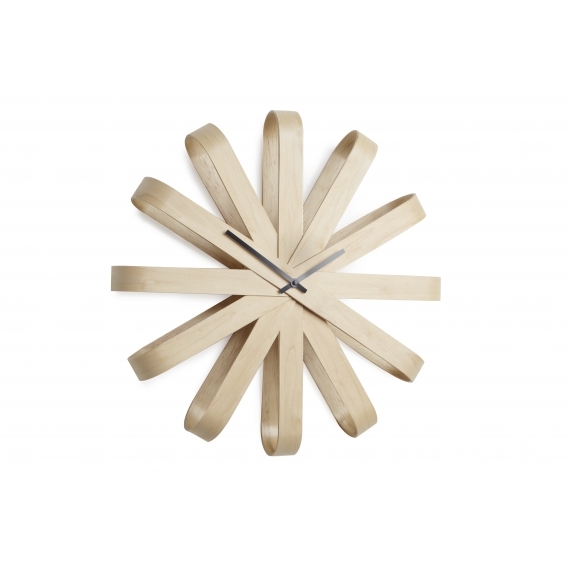 All our wood wall clocks are fitted with a quartz movement and work on standard batteries (not included). This design wall clock also comes in different colors according to the style of your interior.